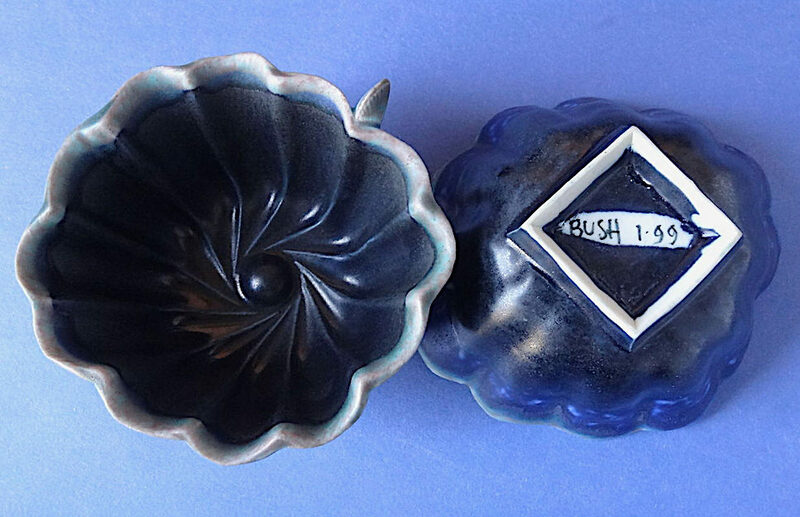 The Holiday Pottery Sales Are On! Some people wait all year for the Black Friday sales. I wait for the holiday pottery sales. Just as September always feels like the beginning of the year to me because of the start of school, the holiday season starts off with pottery sales. I hosted a sale for decades but always managed to get to some of the others. 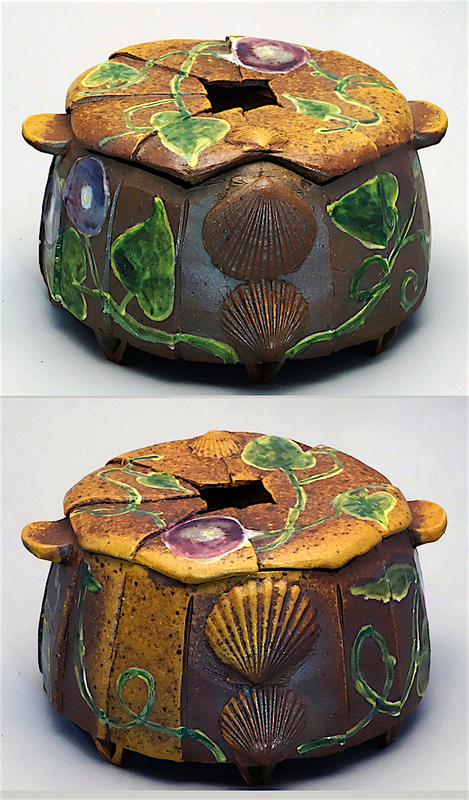 Now the season is here – the clay sales have begun! 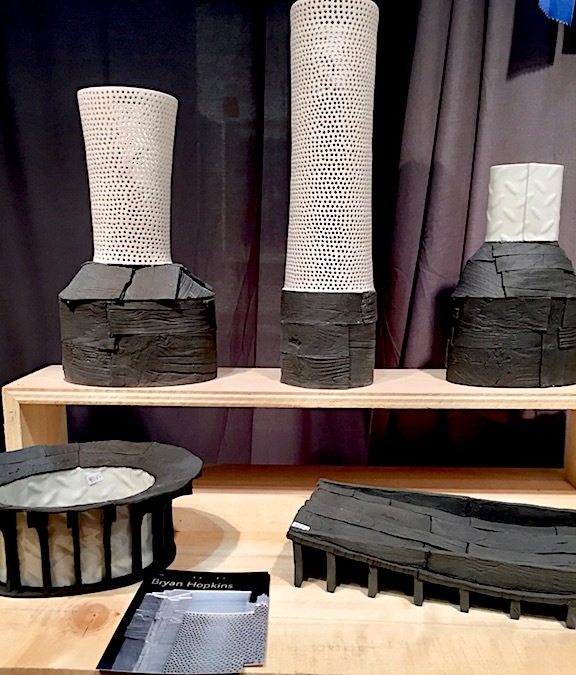 The PMC (Philadelphia Museum Craft Show) has come and gone (it was a beauty this year) and every weekend from now until the end of December, there will be wonderful exhibitions and studio sales of ceramics and other media all across the country. 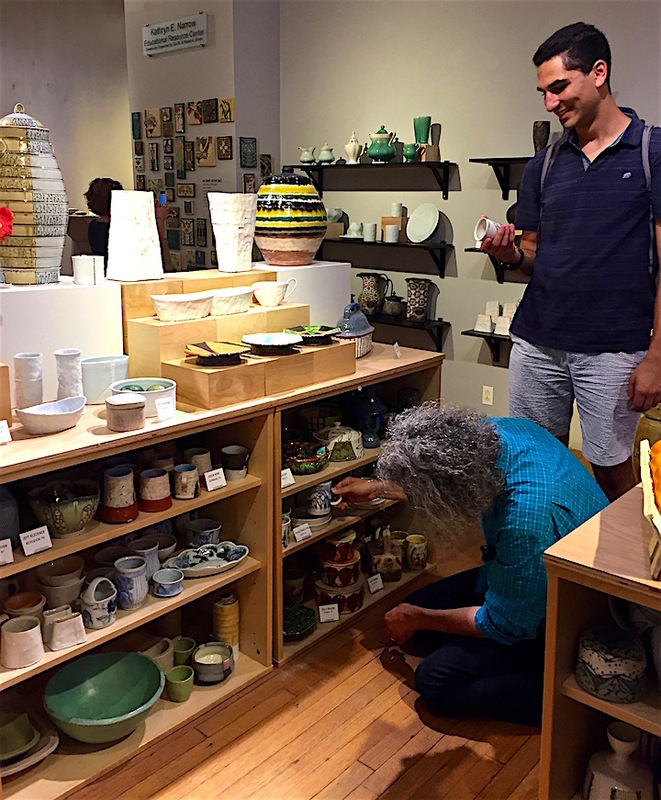 Not only do you get to see and buy pots but you also get to meet and chat with their makers! 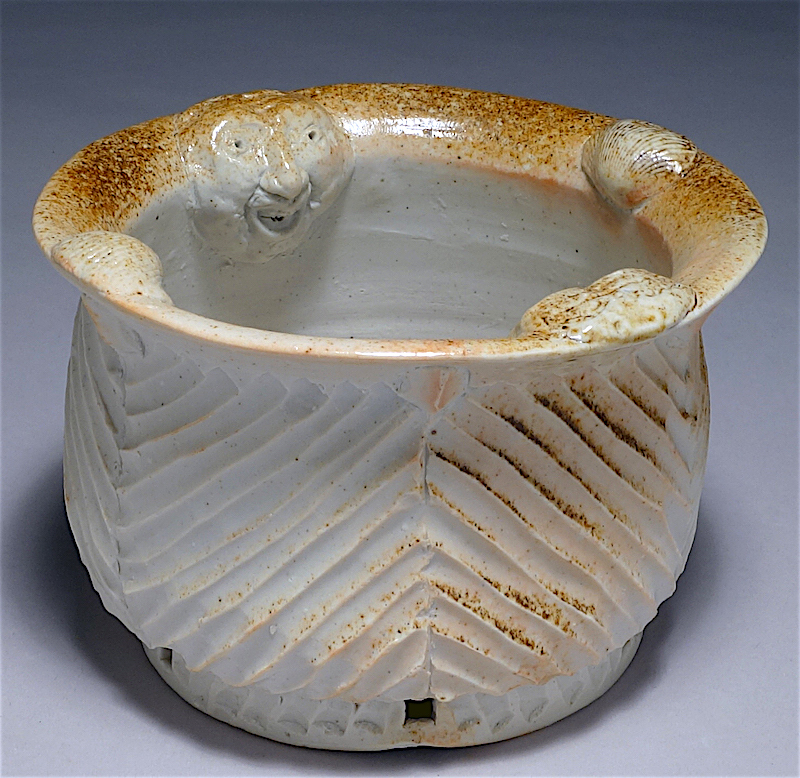 One of my favorite shows (and these are really exhibitions as well as sales – a chance to see new work as well as buy it) is the annual invitational Old Church Pottery Sale in Demarest, New Jersey. 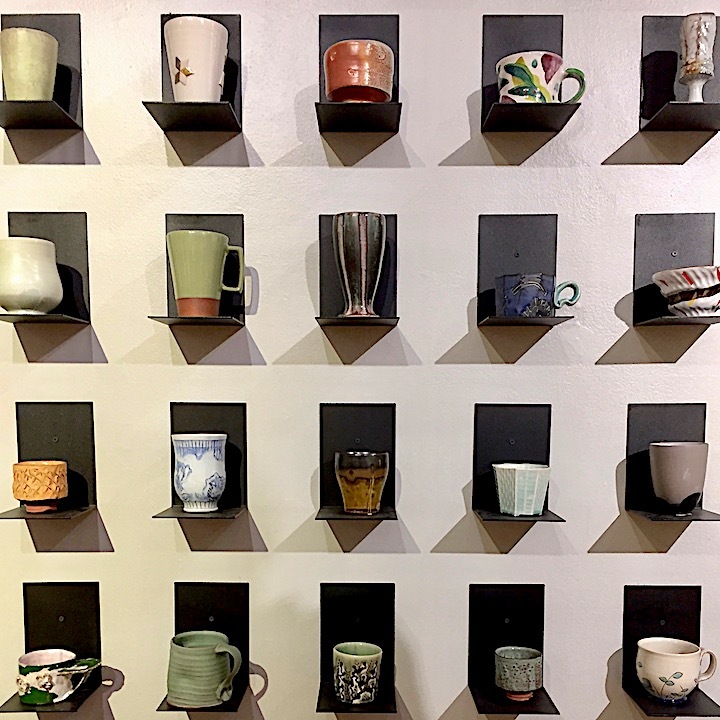 We have been going for more than 25 years and a number of our favorite pots were purchased there, including some early Ayumi Hori mugs, Bernadette Curran tumblers, Silvie Granatelli bowls and Matthew Metz cups. This year a number of young potters will be exhibiting there and I can’t wait to see their work! Of the many terrific group shows I can’t get to this year but wish I could, the 16 Hands tour that takes place this weekend in Floyd, Virginia seems particularly appealing. 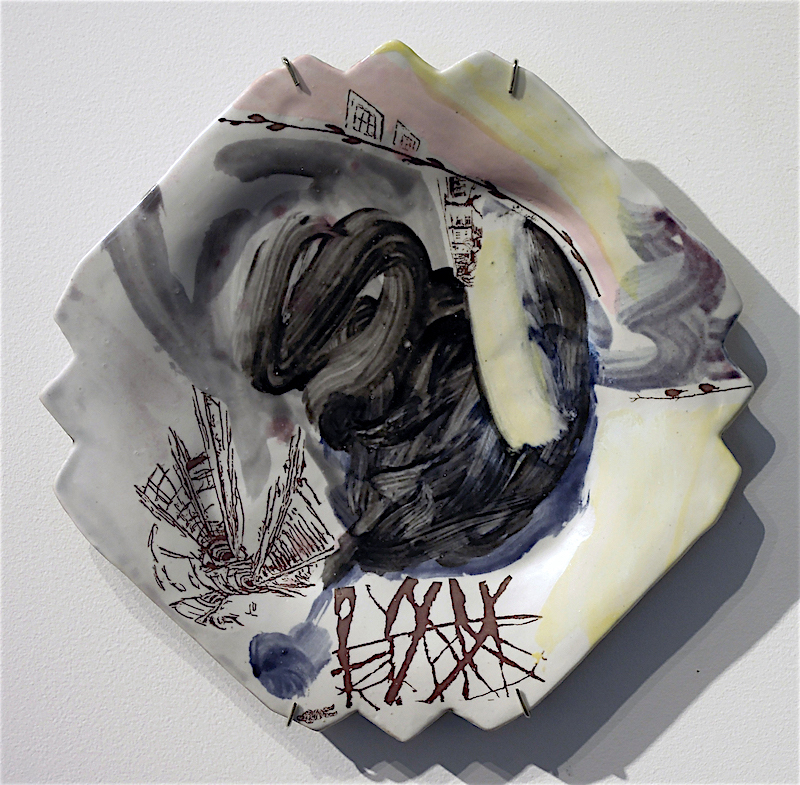 And I would love to peruse Art Providence and the Foundry Show in Pawtucket the 2nd weekend in December. I have listed below the group sales I know about but there are certainly plenty more. 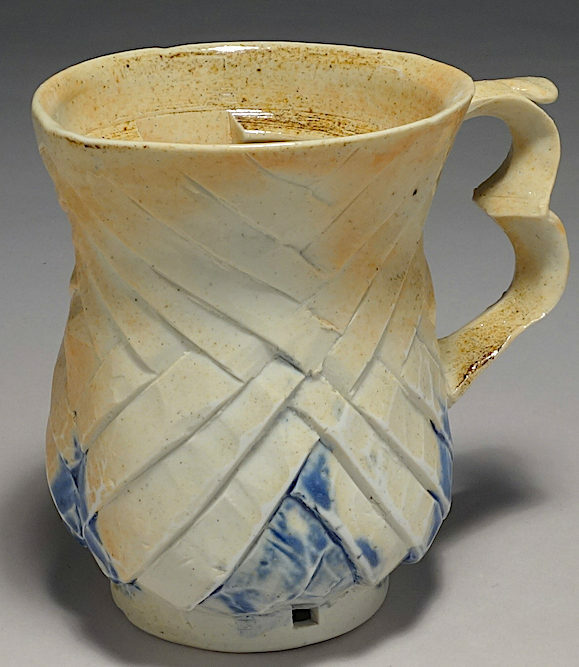 If you have favorite potters, contact them to see when their sales are or in which group shows they will be participating. 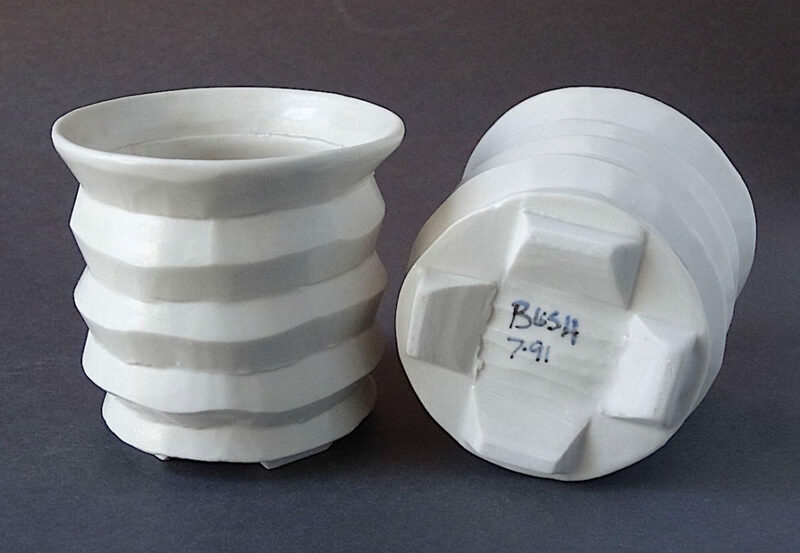 Many college and university ceramics departments hold holiday sales as do clay galleries, both brick and mortar and online. If only we could get to them all…..Happy hunting! (A little consolation if you can’t get to some of the shows or miss the pieces you desire online – there will be another batch of sales around Mother’s Day). 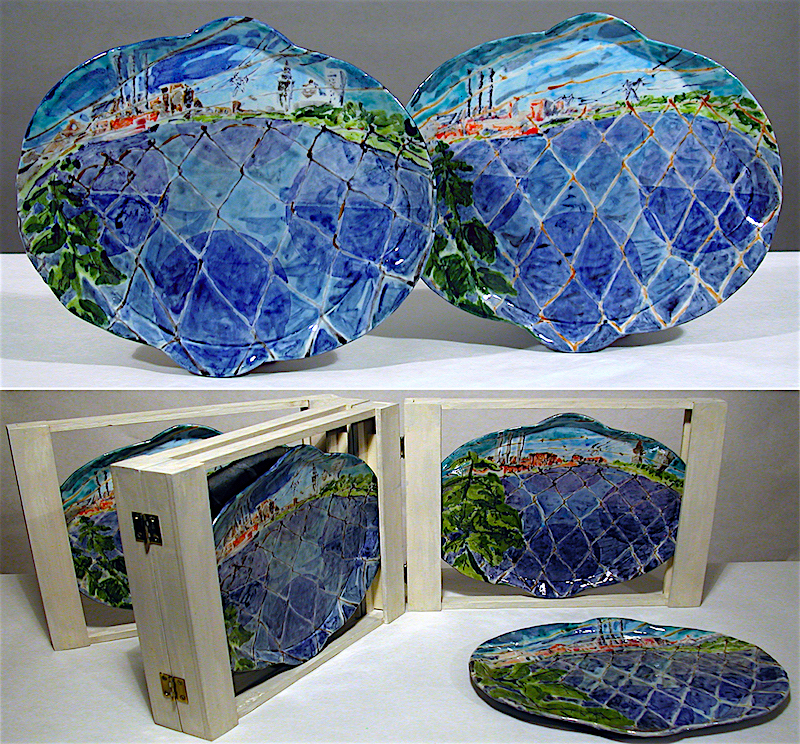 Servers by Maggie Finlayson that were exhibited at Greenwich House Pottery last holiday sale and which I still regret not buying! 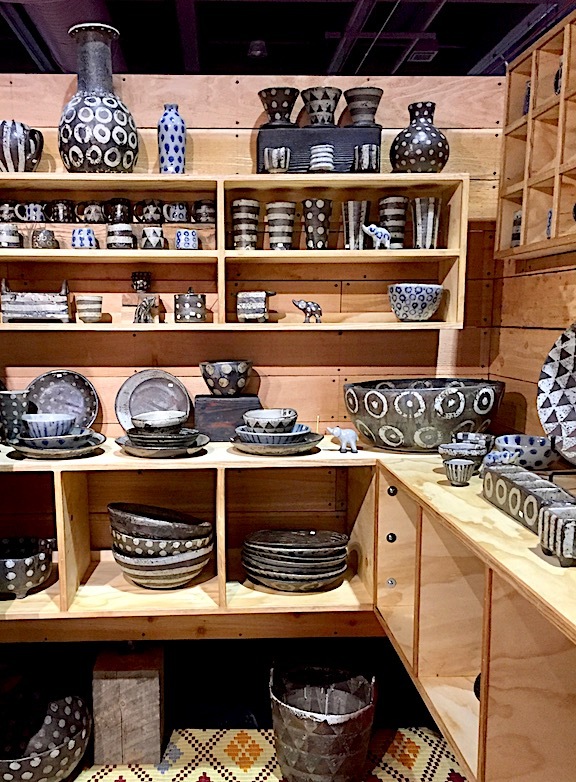 One of the pleasures of the holiday season, besides the lights, store windows, Tuba Christmas at Rockefeller Center, baking and the sense that people are generally cheerier than usual, is the handmade pottery that is available to buy at the many holiday ceramics and craft sales! Wherever you live, this is a great time of year to find handmade pots for sale. 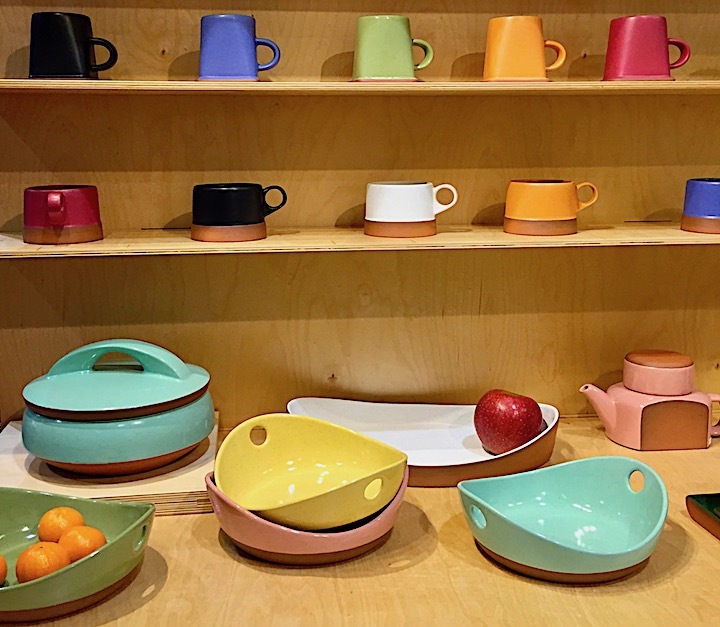 As I noted in an earlier piece on pottery, New York has become a difficult place to find and buy ceramics. There are still a few outlets but many, many less than there used to be. 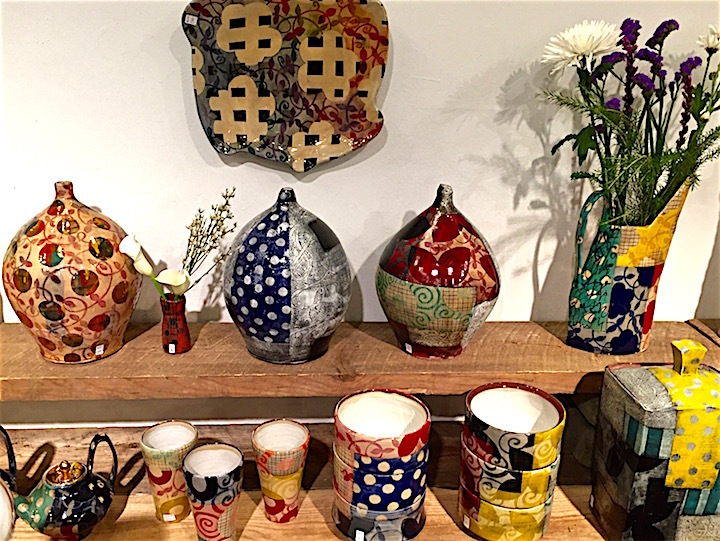 Fortunately for New Yorkers, the holidays bring potters and pots to the city and nearby and, since it is 2017, there are many, many online holiday sales. Handmade pots are more expensive than the commercial variety for many reasons so remember that when you hesitate at their cost. 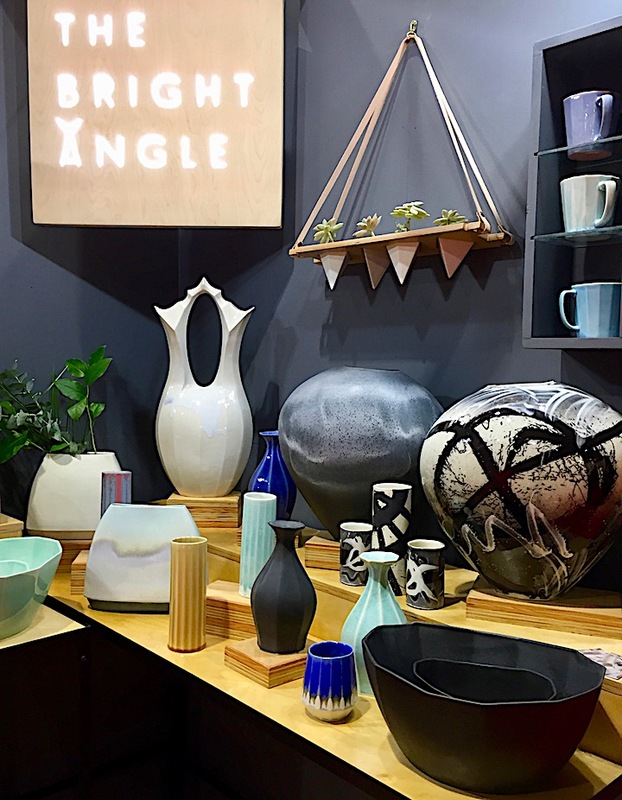 Their price includes not just the materials but the time involved in making, glazing, twice firing, shipping and the cut taken by the place where it is sold to say nothing of this time it took to come up with the forms and decoration in the first place. They make great gifts, if you can stand to part with them. The pots you do keep, you will appreciate every time you use them. 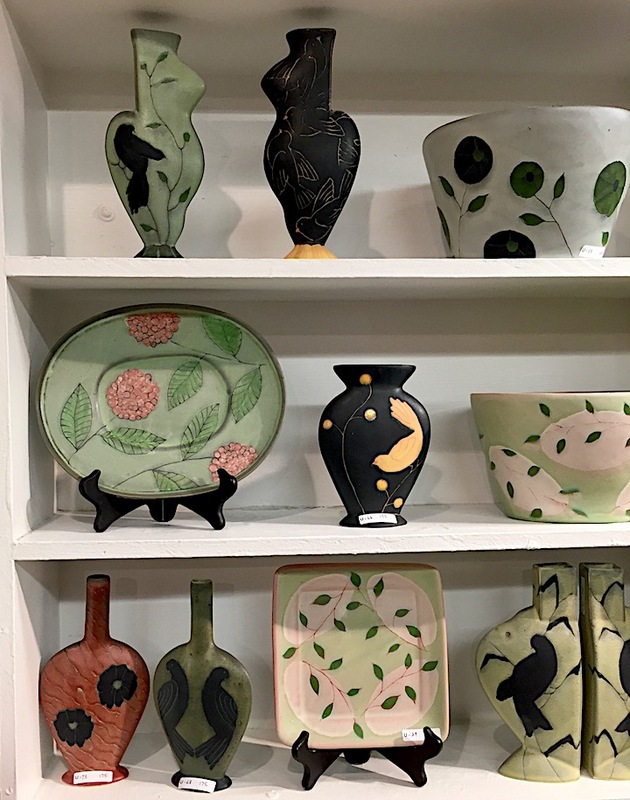 The Clay Holiday Annual Sale at Clay Art Center in Portchester (yes, you can take Metro North) is an exhibit and sale of work by both Westchester and national potters and includes a wall of clay ornaments. It continues through December 23rd. This Saturday, December 2nd, more than 50 artists will be selling work at Made in Clay 2017 at Greenwich House Pottery downtown from 12-7. 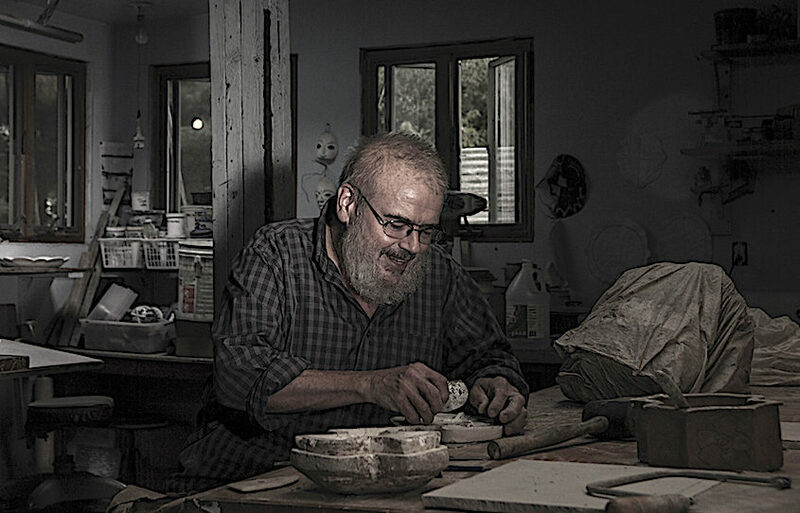 From 5-7 there will be an opening of the wonderful wood-fired pottery of Naomi Dalglish and Michael Hunt from Bandana Pottery in North Carolina. Also on Saturday, from 11-6, Hand Crafted Holidays will take place at The Clay Studio in Philadelphia. Along with tastings, demonstrations and hands on activities, there will be special discounts in their well stocked shop. 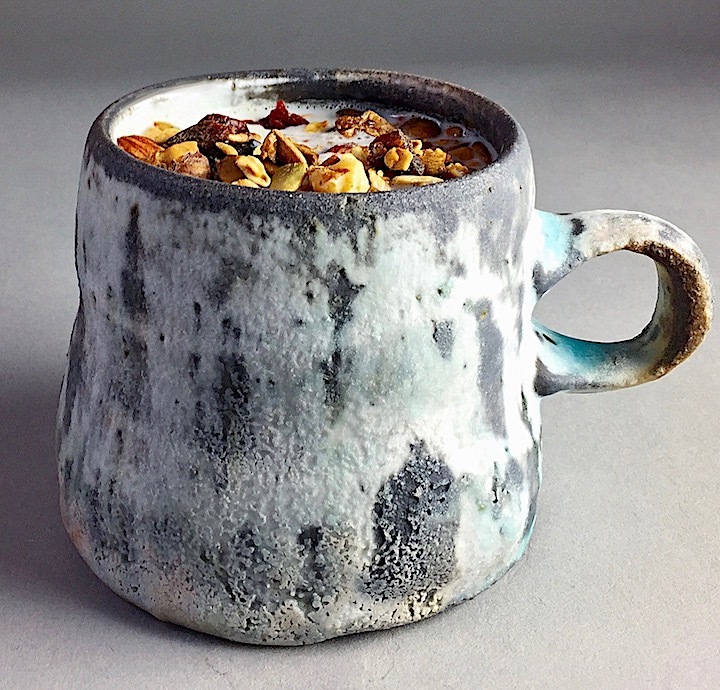 The 43rd Annual Pottery Show & Sale at the Art School at Old Church in Demarest, New Jersey is one of the best opportunities near NYC to see and buy pots from 30 known and respected potters from around the country. Friday evening is a fundraiser and party and the sale continues Saturday 10-5 and Sunday 11-4 with a suggested donation of $10. 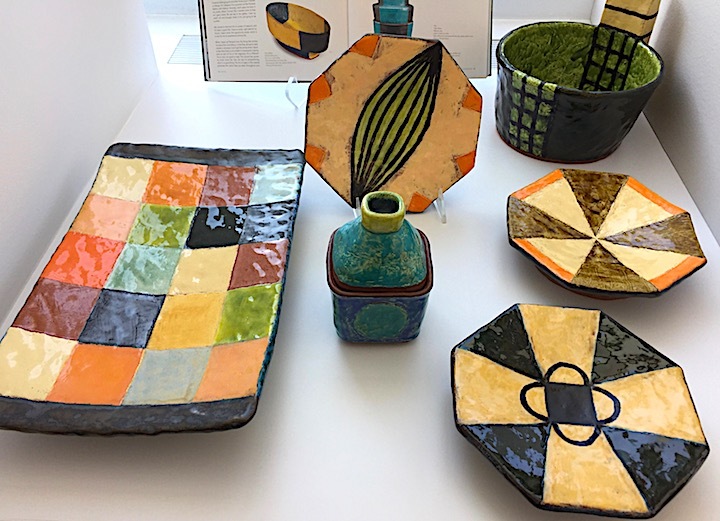 2017 Native Art Market at the Smithsonian’s National Museum of the American Indian may be best attended for its jewelry but there will be ceramics from several pueblos including Jerez and Santo Domingo among others. The preview party is Friday evening and tickets can be purchased in advance. Saturday and Sunday admission is free. If you live in or will be in Boston, Crafts Boston 2017, sponsored by the Society of Art & Crafts, will be at the Haynes Convention Center. 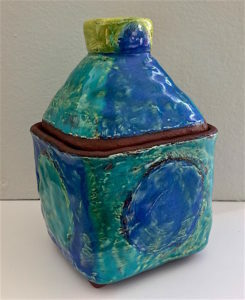 Among artists working in other media are several wonderful potters. The show runs December 1-17 and costs $15. 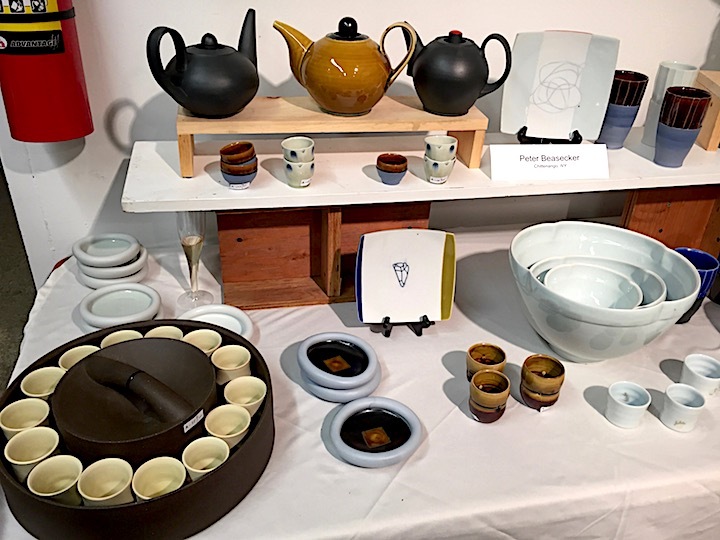 And if you find yourself in Rhode Island, The Art Providence Holiday Show at the RI Convention Center, continues the tradition of the RISD alumni show featuring over 200 artists in many media. December 9-10, $8 per day and a preview party on Friday, December 8th is $100. Support good handmade pottery and the potters who make it by buying their work! 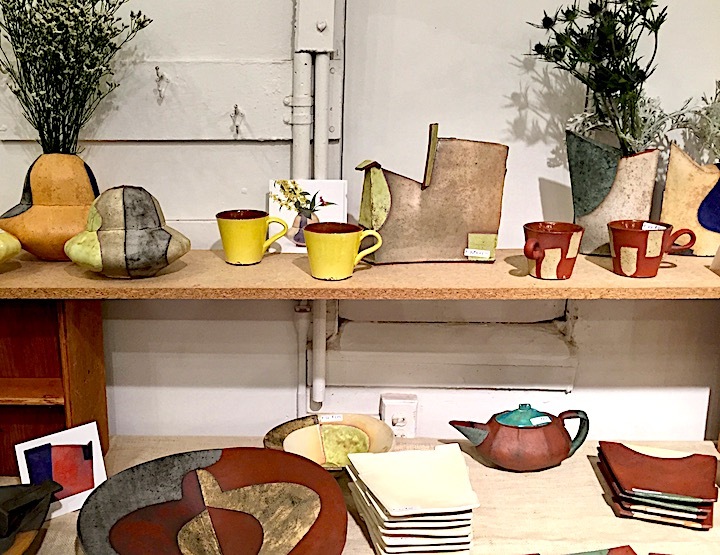 The shop at The Clay Studio in Philadelphia has a great assortment of work from dozens of potters and even more than usual for the holidays – it can be difficult to choose! One of my favorite winter meals is a bowl of split pea soup. There are good reasons it is part of the food culture of so many northern countries with cold winters (think Sweden, Norway, Finland, Poland, Great Britain, Netherlands, Germany, Canada and the northeastern US). It is easy and inexpensive to make, warming, filling, nutritious and tastes even better after a day in the fridge. You probably have all or most of the ingredients already in your kitchen. The recipe I prefer is not the super smooth pea puree that you would get in both a diner and an upscale restaurant in this country. Rather, it is a chunky style, full of vegetables, herbs and barley. If you prefer pureed, you can easily accomplish it with longer cooking and a regular or an immersion blender. This recipe originated in the wonderful Laurel’s Kitchen cookbook (see the book section of the blog) and I have modified it to suit my tastes. You should do the same when you make it. My version is vegetarian but if you like yours with meat, add a ham hock with the peas or some diced leftover ham or crumbled bacon with the vegetables. If you like a richer soup, use vegetable or chicken broth instead of water. And take liberties with the vegetables and grains. If you like a lot of celery or carrot, add more. If you have leeks you want to use up, chop and substitute them for part of the onions. If you love garlic, add more and if you hate garlic, omit it. If you prefer less starch, leave out the barley and/or the potato and use a little less water. If you want the soup heartier, add some baby limas with the barley or throw in some leftover cooked or canned white beans toward the end of cooking. If you don’t like Italian herbs, use dill. If you want your soup spicy, add some cayenne or a dash or two of hot sauce. And if you like a little more green, add a handful of frozen green peas and/or fresh arugula or baby spinach leaves to each bowl before you ladle in the soup. Make sure your split peas aren’t old or they will never soften properly. I used to buy big quantities of beans and grains so they would be on hand when I wanted them. But I have learned to buy them, especially split peas, more frequently and in smaller amounts from a source or market with a big turnover so they are fresher. You don’t want to cook and cook and cook your soup and still find it crunchy. There are two ways to prepare the same ingredients. If you are in a hurry or avoiding fats, you can just put all the ingredients minus the oil and parsley, in a stockpot and cook for an hour, adding the parsley close to the end of cooking. But the soup gains flavor with a short sauté to start and then you add the bulk of vegetables in the second half of cooking. You can serve it chunky the first night and purée it later in the week to serve for a second meal. 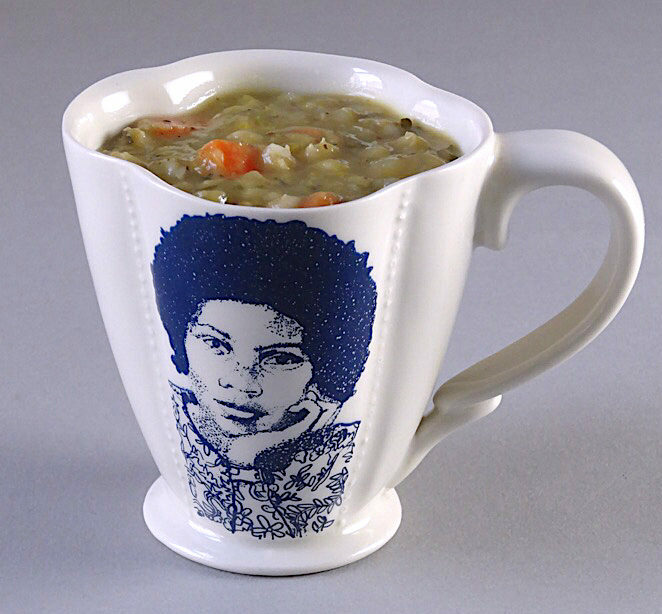 A note about the folks who made the cups in which the split pea soup is pictured here – The Democratic Cup is a group of artists who are trying to generate “positive political discourse” through their collaborative creation and production of cups with political content. Check them out at thedemocraticcup.com where you can order your own cup! Heat oil in a stock pot and add onions, garlic and celery seed. Cook until onions begin to turn translucent. Bring to a boil and then reduce heat and simmer 1 hour, stirring occasionally. Gently simmer 45 minutes longer, stirring often to avoid scorching, adding water if necessary. Taste and adjust seasonings as needed. As it cools, the soup should thicken. If you want an even heartier dish, add some croutons (you can make these easily by sautéing bread or cornbread cubes in butter or oil) when serving, but I think the barley hefts it up sufficiently. And, like many soups, this one tastes better if made the day before and reheated slowly. Use low head so it doesn’t scorch, and stir often. I think it is particularly good served with something crunchy, like toast or crackers. (To halve the recipe, simply cut the amount of split peas to 1 cup, barley to 1/4 cup, water to 8 cups and salt to 1 tsp. Adjust amounts of vegetables or not). Serves 6-10, depending on serving size (big bowl or mug), and freezes well. When the temperatures start to drop at the end of the day, I want something warming but not heavy to eat. Earlier in the week, I rooted around in the refrigerator and came up with some spinach, celery, parsley and green beans from last week’s market. With the help of some frozen peas, a can of white beans, a box of stock and a handful of grated Parmesan, green minestrone was on the table in less than an hour. A warm, nutritious dinner couldn’t be much easier. Minestrone is usually a red, tomato-based soup with beans and pasta, traditionally a small pasta like baby shells or ditalini, tiny pasta tubes. Because I try to avoid white flour when I can, I substituted potatoes for pasta in my version. And because I had no tomatoes but did have some lovely arrowhead spinach and parsley from our farm share, green minestrone seemed the logical choice. I tested substituting a bag of frozen spinach for the fresh and it worked fine but made the soup thicker. If you use frozen, consider using less spinach or add more stock. If you still have a zucchini in your crisper, cut it into bite-sized pieces and add with the green beans. If you don’t have white beans, use garbanzo or pinto beans, or fresh shell beans. If you aren’t being a purist about the green of the soup, add some carrots with the beans – the color contrast of green and orange is beautiful and seasonal. Spinach, celery and Parmesan are all fairly salty so they seasoned the soup well enough. I only added a ½ teaspoon of salt but taste and judge for yourself. If you want more zing, add some scallions, jalapeño or cayenne. A little fresh dill added at the end could be tasty. If you don’t have an immersion blender, purée in a standard blender a few cups at a time. (Use a ladle to transfer soup to the blender and watch out because it will be very hot.) Please be careful not to overcook the vegetables – you don’t want them to turn to mush. If you need to reheat your soup, take care just to warm not cook it again. 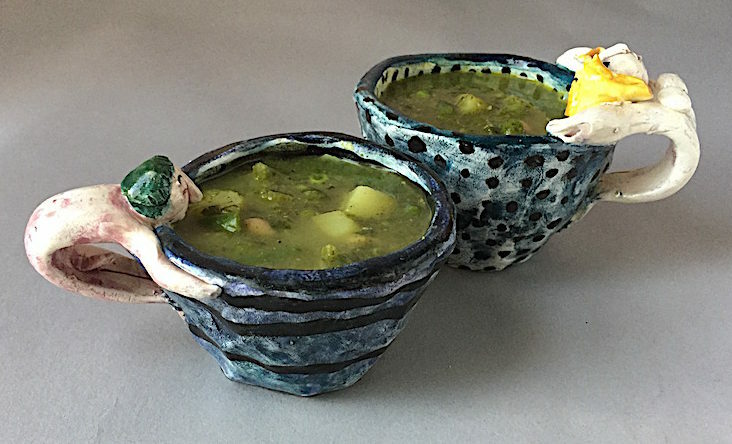 Because it was National Clay Week, I served the minestrone in cups by Karon Doherty, one of the most passionate, generous and whimsical ceramic artists I have known. 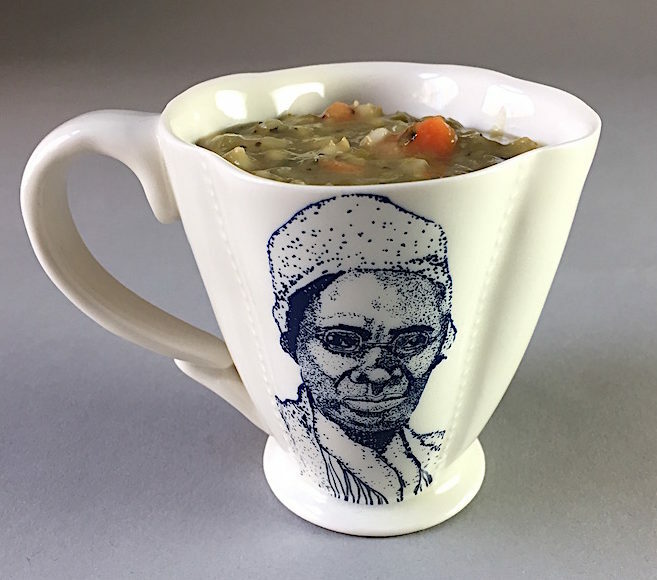 These colorful earthenware cups illustrate her playful approach to creating clay art, which was often boldly autobiographical. 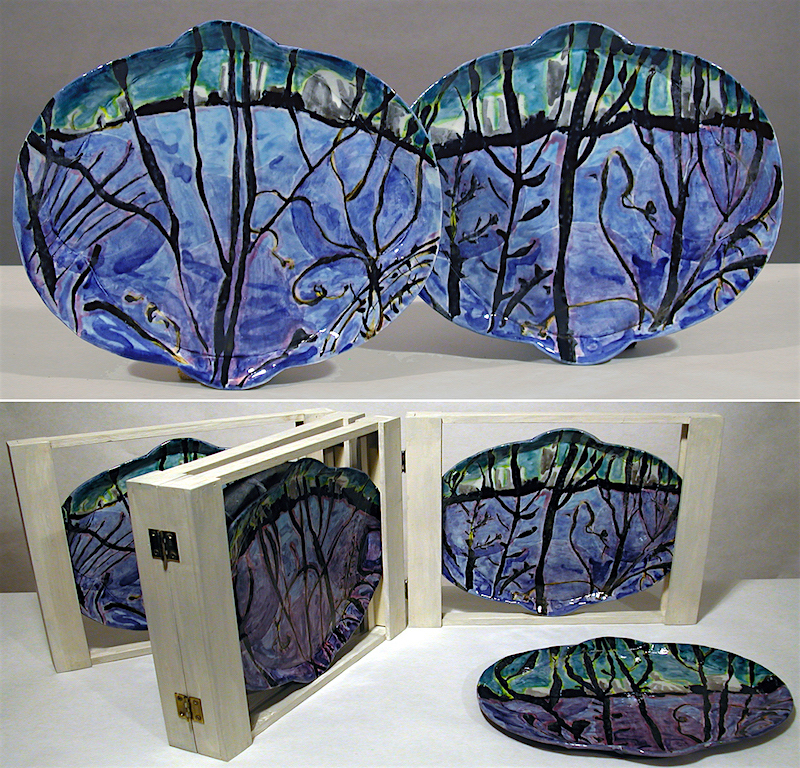 Karon was an enthusiastic maker, teacher, mentor, friend and artist who we lost much too soon (d.1999) but her spirit lives on in her delightful artwork. Heat the oil in a medium stockpot. Add the onions and garlic and cook until translucent and starting to turn golden, about 7-8 minutes, stirring occasionally. Add the spinach and 1 cup of peas and stir until the spinach wilts. Add stock, bring to a boil, lower to a simmer and cook about 4-5 minutes. Turn off the heat and use an immersion (stick) blender to purée until smooth. Turn on the heat and add the potatoes, celery and carrots, if using and cook 5 minutes. Add the other cup of peas, green beans, white beans and parsley, if using. Cook 3-4 minutes until beans are just tender then turn off the heat. Serve garnished with a little bit of grated cheese or a sprinkle of parsley.